The scale of change that occurs in genomes due to mutation and recombination is the major difference between these two processes. Mutation and recombination are the two processes that change the genome over time. Although both the processes are unrelated, they shape the genome constantly. Most of these changes are not passed to the next generation, but some changes will have a high impact on the offspring by determining the fate of the species. Changes that happen to DNA in somatic cells are usually not heritable whereas changes that occur to the DNA in germline cells may be inherited. Also, if this change is destructive, then there may be significant harm to the cell, organ, organism or even for the species. If it is a constructive change, then it may ultimately beneficial for the species. Mutation is defined as a small scale changes in the nucleotide sequence of a genome and the changes are not corrected by repairing enzymes. 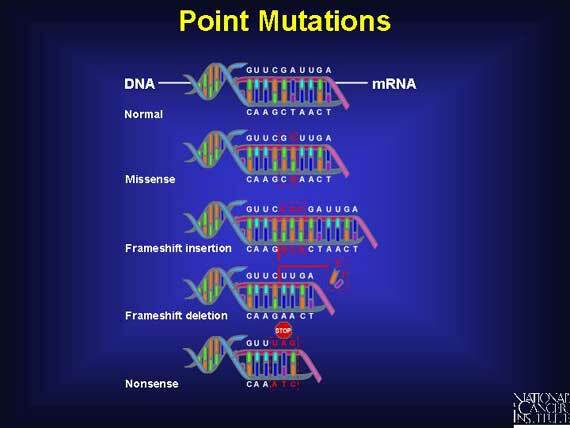 These mutations can be single base changes (point mutations), small scale insertion or deletion. Mutation causing agents are known as mutagens. Most common mutagens are erroneous replication, chemicals and radiation. Chemicals and radiation alter the structure of the nucleotide and, if the alteration is not repaired, then the mutation will be permanent. There are several enzymes that repair these mutations of DNA, such as methyl guanine, methyl transferase, and DNA polymerase III. These enzymes will scan for errors and damages before the start of the cell division (pre-replicative) and after the cell division (post-replicative). Mutation in the coding region (i.e. the regions of the DNA where the protein translation sequence is stored) can be harmful to the cell, organ, or organism (point mutation in the third base of a codon usually not causing any harm – silent mutation). 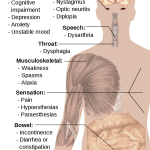 Eg: – sickle cell anemia is a disease caused by a point mutation. Mutations in noncoding DNA are less likely to cause any harm although, if it is inherited, it can be harmful if the mutation is causing the activation of silent genes. Insertion or deletion mutations are known to shift the reading frame (frameshift mutations) leading to defective protein synthesis causing deadly diseases in humans. Although most mutations are harmful, there are some mutations that are beneficial. For example, most of the Europeans are resistant to HIV infection due a point mutation occurred during the evolution. Recombination is the process of large-scale changes in the nucleotide sequence of the genome and which are usually not repaired by DNA damage repairing mechanisms. There are two types of recombinations, crossover and non-crossover recombination. Crossover recombination is a result of exchanging DNA fragments of homologous chromosomes by forming a double holiday junction. 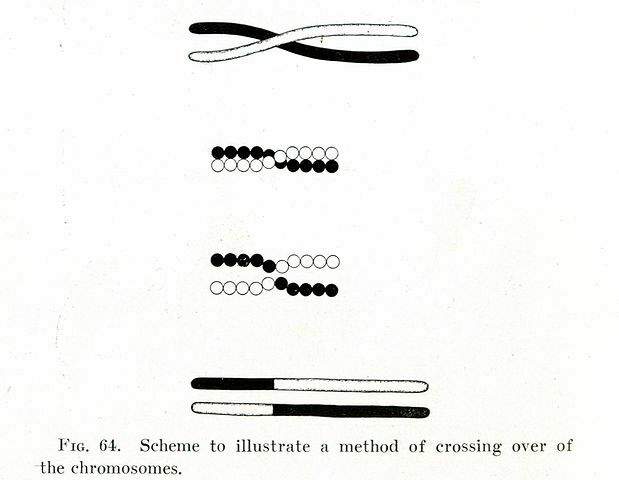 Non-crossover recombination occurs by synthesis-dependent strand annealing where no exchange of genetic material between chromosomes occurs. Instead, the sequence of one chromosome is copied and inserted into the gap in the other chromosome and the sequence of the template chromosome remain intact. 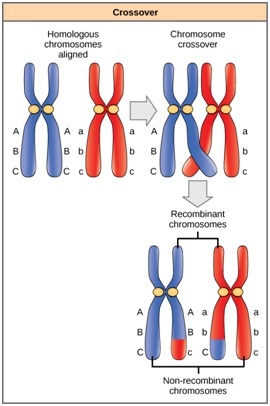 Recombination may occur within the chromosome, generally, between the two sister chromatids (transposition). During the meiosis in germline cells, recombination is a commonly observed process between non-homologous chromosomes. In somatic cells, recombination happenes between homologous chromosomes. Recombination is essential during the B cell production. Also, there are some repair systems that involve recombination. What is the difference between Mutation and Recombination? Both mutation and recombination are processes that change the nucleotide sequence of a genome. Both processes cause defects in cells, organs, and organisms and which can be lethal. Both processes may be beneficial to organisms as well as for the species. Also, both processes are essential processes during the evolution. 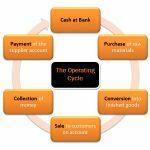 However, there are also some differences between the two processes. Let’s take a look at them. • Mutation is a process that changes the nucleotide sequence of a genome in a small scale and the changes are not corrected by repairing enzymes. • Recombination is the major process that changes the nucleotide sequence of a genome in a large scale and the changes are usually not repaired by DNA damage repairing mechanisms. • Mutation – Agents of mutation include the erroneous replication, chemicals, and radiation. • Recombination – Recombination is an enzyme controlled mechanism. • Mutation may occur at random places of the genome. • Recombination is usually location specific. • Mutation may be repaired by the repair systems in the cell. • Recombination is sometimes a repair process. • Mutations can happen at anytime. • Recombination occurs during the cell division. • Mutation does not copy genes. • Recombination may copy genes in the genome.